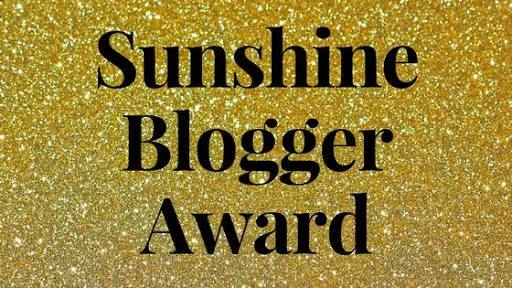 Well, I got an award nomination for the Sunshine Blogger Award. I’m thankful to Pointless Overthinking, who nominated me for the award. Check out this website. They have some really amazing content and the Question of the Day posts as well…..
2. Link the post back to them. 3. Display the picture on your post. 6. Provide 11 questions for your nominees. 1. What do you do on a daily basis to achieve your dreams? One little step per 24×7. Just like a Snail. 2. What would you like to achieve by the end of this year? A little more memories, a little more experience. 3. What do you do when you feel the need to motivate yourself? Just relax and try to get Neutral. 4. What easy change could you make in your life which would have a great impact? 5. Which is the biggest obstacle you face right now? 6. Which area in your life needs most of your attention? 7. What is your biggest enemy? 8. What is your most useful hobby? All hobbies are useful. No hobby is useless. 9. Which part of the world is a “wanted to visit” and why? 10. What do you want the most in this life and why? The more and more exploration of Mind, because it’s the life of the Universe. 11. What is the most interesting you’ve learned about yourself this year? I can be wiser than the previous year. You have to write a paragraph of 4-5 lines about a topic….. But You can also copy the whole post to the clipboard..nd paste it in your own post.. 😉..
Can I please have ur email??.. Thank you so much Katherine…. Congratulations… your 4th and 5th question hahahaa I can relate..
Everyone can relate I think…..😜😜..